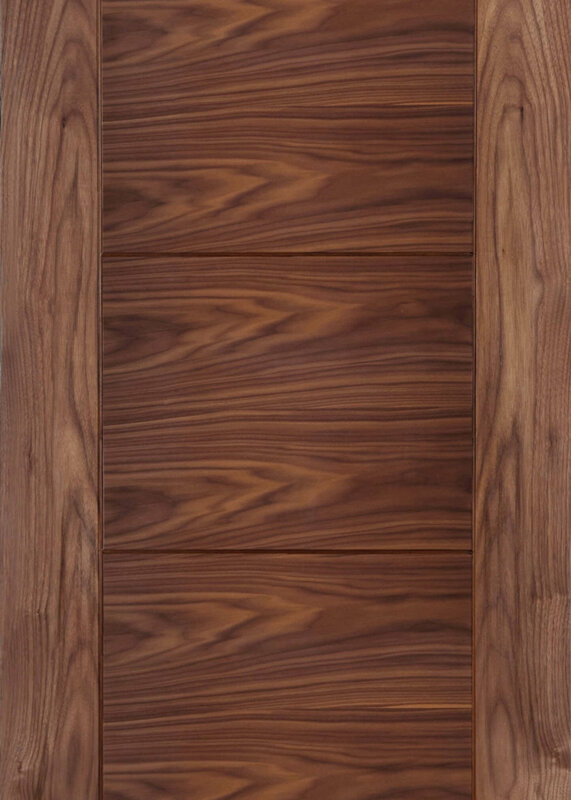 The Iseo Walnut Crown Cut Pre-finished door is from one of our more popular modern ranges, that will enhance any interior. The range has designs featuring flat flush surfaces with V grooves and directional veneers, along with a variety of glazed options. The majority of our Internal and External doors are manufactured with engineered component parts. This ensures that the doors provide a solid feel, and the engineering brings an advantage in terms of strength and stability. All of our engineered doors are faced with veneers and matching lipping along their edges just like the Iseo Walnut Crown Cut Pre-finished door. To see our other doors please find a link to our internal doors here, our fire doors here and our external doors here.